Who established the standard in portable interactive whiteboard industry? Who made the most valuable portable interactive whiteboard? So, here is the question, where can you purchase the most powerful portable interactive whiteboard? Yes, definitely right, Go finding Hivista, there you can find portable interactive whiteboard F-35 with strongest configuration, which is second to none! 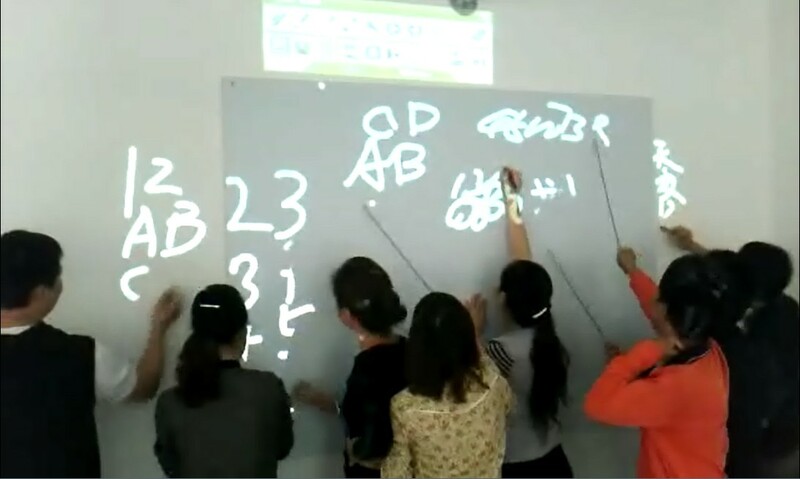 As everybody knows, portable interactive whiteboard is the bottom low-cost interactive solution, which is approved on market instead of traditional interactive whiteboard and LED interactive whiteboard. In 2011, as market demand mounted quickly and other well-known brands, such like Epson, started to introduce interactive concept to their projectors, optical interactive products got rapidly promoted. 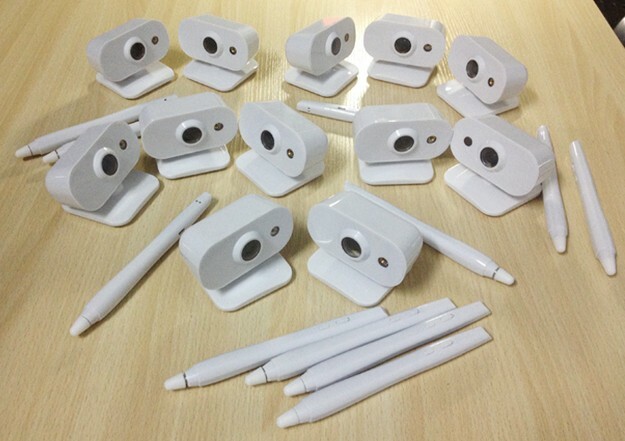 Those also attracted many newly established companies to enter into portable interactive whiteboard business. Nowadays, optical Technology has been developing for almost 10 years, while its interactive products only began to show signs of growth on the market in the end of 2008. 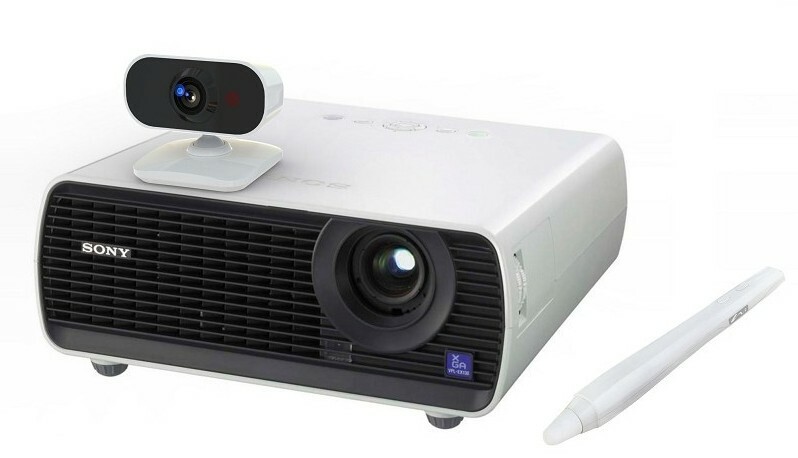 Hivista started to focus on R&D optical technology developing interactive products related to projectors, which has rightly grasped the market chance. It really made huge difference that from the initial portable interactive whiteboard 1.0 to 2.0,then to the F-35(3.0),which coming to the most popular one once launched on the market. 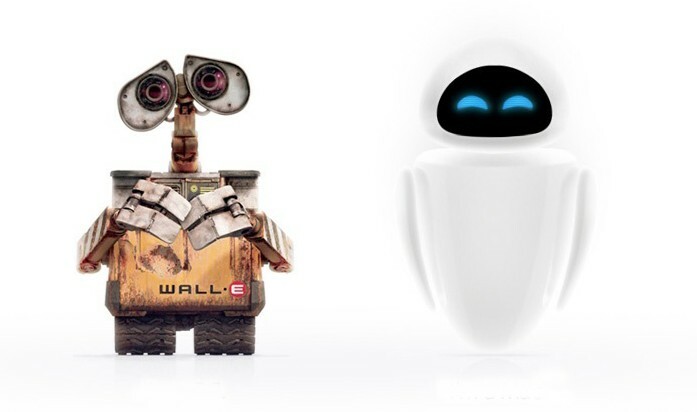 It is much more lively to metaphor 1.0 as lovely Wall-E and 3.0 to Hi-tech Eva, really unbelievable transmutation. Well,in the coming 2015,what would be the standard of portable interactive whiteboard? No no no. It is right that finger touch is the trend of interactive solution. 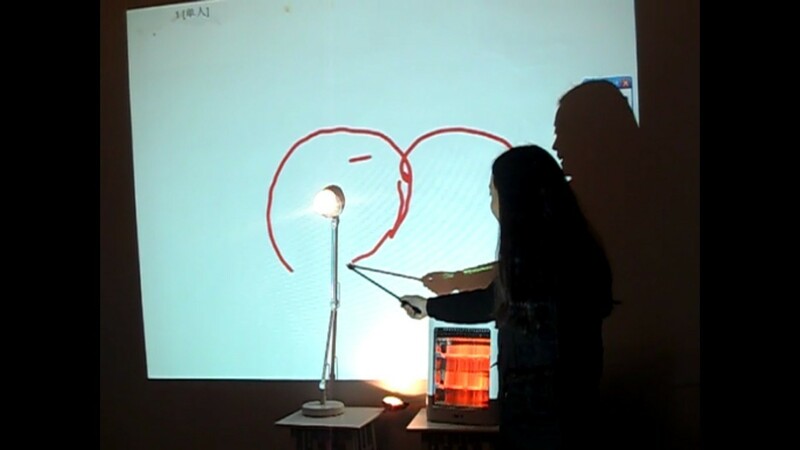 What can be called real portable interactive whiteboard? The first important feature is ”low cost”, then added ”easy using”. 1. Low Shipping Cost: F-35 is smaller and lighter. No matter to the same city or far away to the overseas, the transportation is more cost-effective than the traditional whiteboard and LED whiteboard. 2. 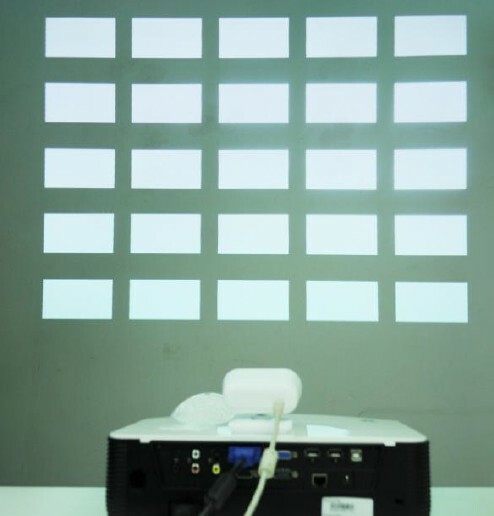 Low Installation Cost: the portable interactive whiteboard is used together with the projector, but majority similar products are still needing a separate bracket to fix it to the projector. 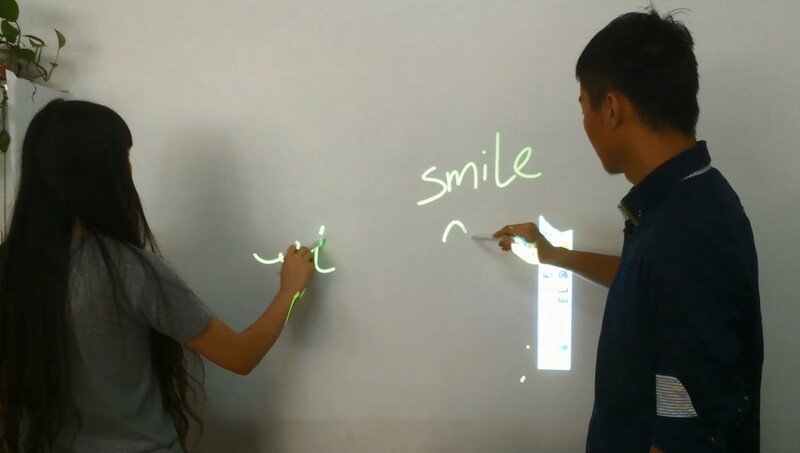 Not to let alone the traditional interactive whiteboard, almost need at least 2 persons to install. It is not allowed the original wall to have anything on the surface, so the installation requirements is much higher. Let’s look at our F-35, 3 seconds fast disassembly, using the latest non-chemical adhesion fixed way! ! Save time and effort. Original wall it can also works out the interactive function perfectly. 1. Easy Installation: After known above-mentioned 3 seconds fast disassembly, will you choose variety of complicated brackets, looking for the screw holes and fix them ? 360-degree flexible adjusting (no dead ends), added smart industrial design innovation, completely solved the difficulties of adjusting and fixation. 2. Easy to Use: WHY Cut off the former laser button? One more operation step may cause more issues. F-35’s laser light is auto switched by our program, no need manual control any more. Why you still choose 42points, 9points, 25points manual calibration products? The flashing by auto calibration save so much time when you install the devices in hundreds of classrooms. When teacher uses PC to begin a new class or a new teacher coming with a new PC, re-calibration is needed? No! WHY? 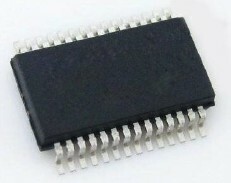 We built 256 byte storage chip in the device, one time calibration is enough for lifelong use. So easy! 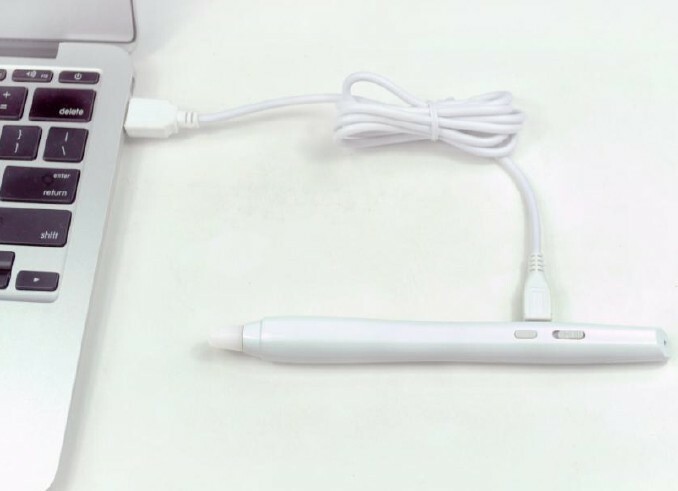 F-35’s U-pen is withbrand new design,combined with ergonomics, makes your hand more comfortable when writing. With lithium battery inside, it can be charged with USB cable. Environmental protection is always the topic, who want to install the battery, but also pay attention to the positive and negative directions? The rechargeable pen can be standby 45 days long. In order to make teaching process more convenient for teachers, F-35 added new function of laser pointing. 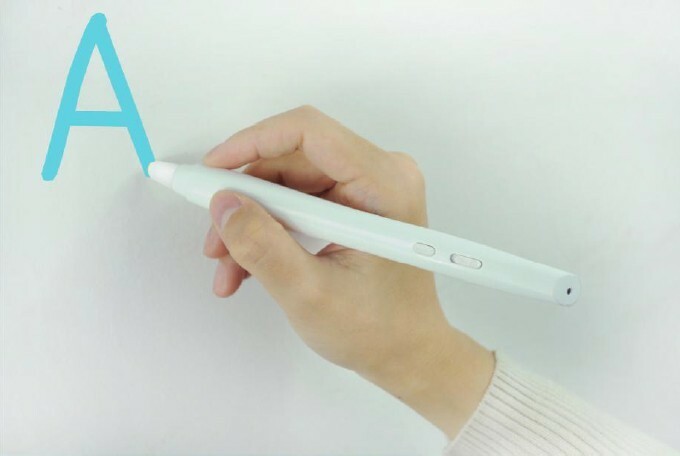 Multi-writing, two or three users write at the same time is the lowest standard for portable interactive whiteboard, but F-35 can support max 64 users to write at the same time, So niubility!Take you fly take you high! No matter the F-35 signal receiver or the U-pen, both had working indicator design, cool hi-tech blue light indicates the working status of the machine, if the signal receiver connected with PC by USB cable rightly, the indicator turns on blue. If the U-pen has enough power, the indicator stays blue. If the power of the pen is too low, the indicate light become red. 3. 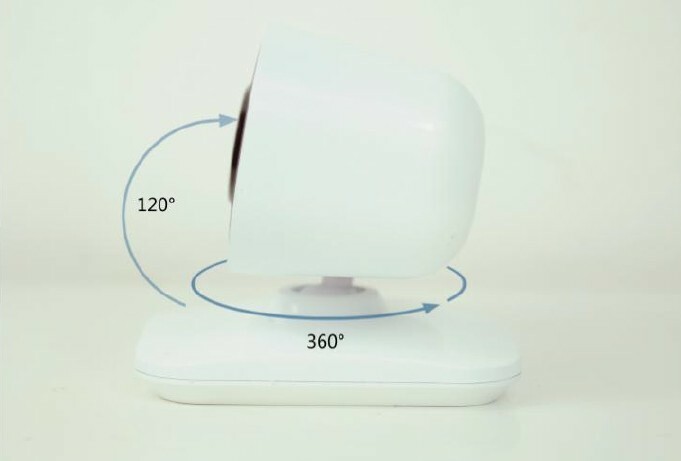 Super Strong Stability: with the auto-calibration function, anyone knows a little about the technology will know the interference of the light will increase. Let’s see how F-35 dealing with it. Perfect smooth writing experience, never lose your true handwriting. Do you still recall the writing effects of our competitors? 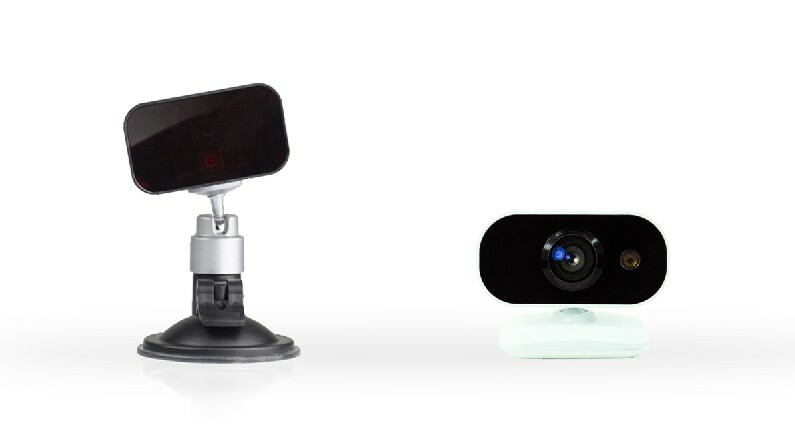 F-35 combined the industry design and technology development, pursuing simple easy appearance and human computer interaction at the same time, and with strong compatibility structure design makes it to be one of the most important 2015 interactive products of Hi-Vista. 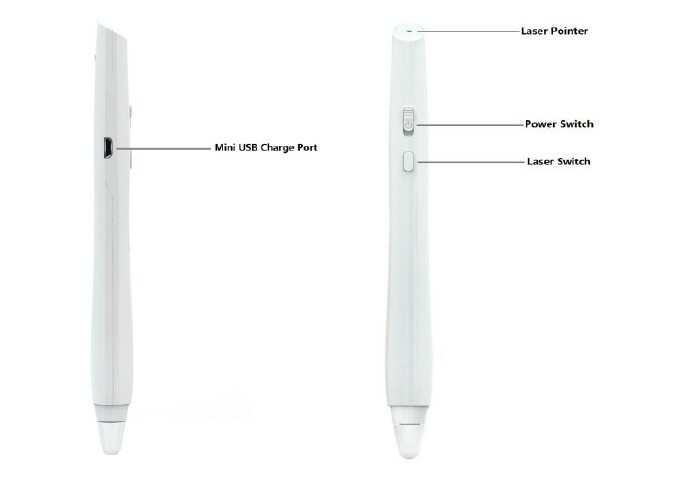 And it will definitely become the purchase standard of portable interactive whiteboard industry in 2015,the requirement standard of portable interactive whiteboard on the market, the standard that the whole industry will follow.